I'm linking up with Tara at 4th Grade Frolics for Monday Made It! Well, we'll call it a semi-Made It because it's a work in progress. 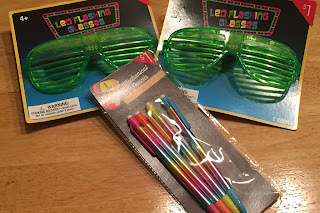 I was inspired by reading about The Tattooed Teacher's VIP Table post last year, and knew I wanted to incorporate something similar this school year. 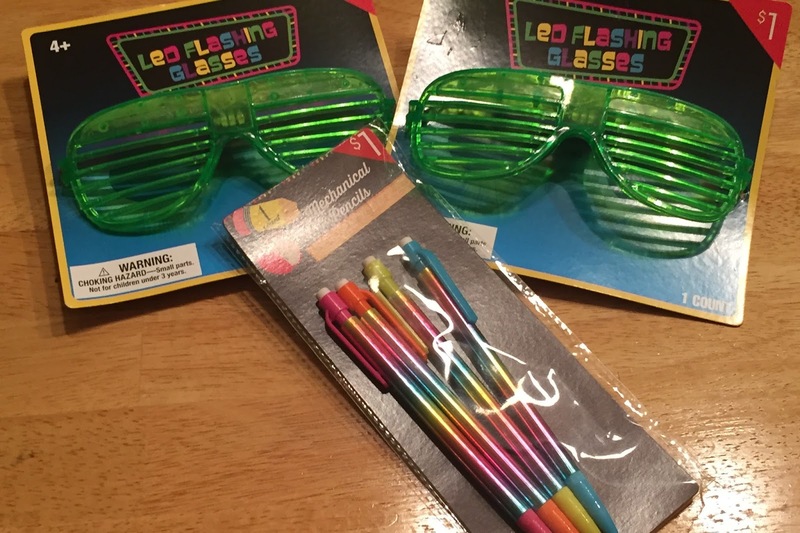 It's important to me to celebrate the students who are always doing the right thing, and this is a great way to do it...make sure you check out the post if you haven't already! If you know me, you know I am all about Peanuts! ...and I plan on filling them with all kinds of super special goodies (I'm departmentalized and have two classes, so I will have a morning and afternoon VIP). Who doesn't love the Target Dollar Spot? My VIP will get to lead the line, get lunch first, get supplies first, etc. I also want to make a VIP button that they can wear while out and about, inspired by a Teaching Maddeness post on how she did her VIP tables! I'm debating right now how I will introduce the VIP bags. 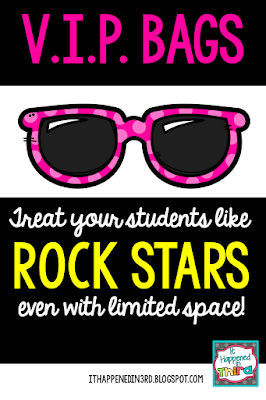 I'm torn between letting all the kids have a chance to be VIP for a day, and then selecting people who show VIP behavior from that point on, or just starting off the year having it be an extra special privilege. I can see the pros and cons of both. Guess I have a few weeks to think about it! 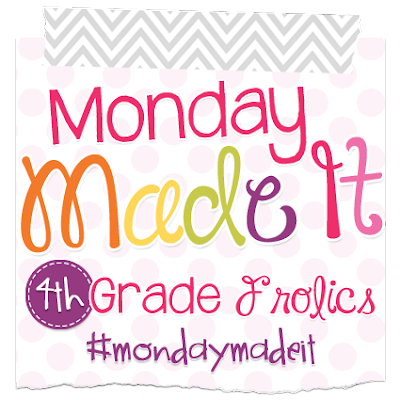 Make sure to link up with 4th Grade Frolics to show off your Monday Made It! Have you used VIP tables in your class? How did it work out for you? Really cute idea!! I love the bags too! I am going to try a VIP supply bin this year, kind of the same concept! Thanks :) It's amazing how the tiniest little thing such as "special" supplies can make a kid's day! Love it! VIP bags! Genius! I love it. I'm going to try out a VIP concept to this year. I have an old vintage school desk that I refurbished to use as the VIP's desk. Since it is just a small desk (for the limited space reason you mentioned), only one child can be VIP at a time. I like your thoughts on giving everyone a chance first and then choosing for great behavior after that. That way, no one can say they didn't have a turn and after that....it's on them. I love your adorable backpacks. You did a great job! Lol, I know...I always say "I had no idea there was a million dollars at the front of the line! Can you spare a few thousand?" I love the VIP idea and your bags are super cute. I agree with Kim's statement - both my fourth and fifth graders still fight to be first in line - CRAZY!! Apparently there is some magical prize at the front of the line we can't see! Those bags are adorable, so cute! I love Charlie Brown! Aren't they adorable? Snapped them up at Target when they had the 4th of July stuff out. I'm planning a VIP table for my middle school classroom too. I'm going to use it as a reward for my top group for Table Challenge each week. I'm currently working on a little basket of "Stuff" they get to use and privileges they can have that will be incentive for my 8th graders. Love the idea of a VIP bag with some swag in it. 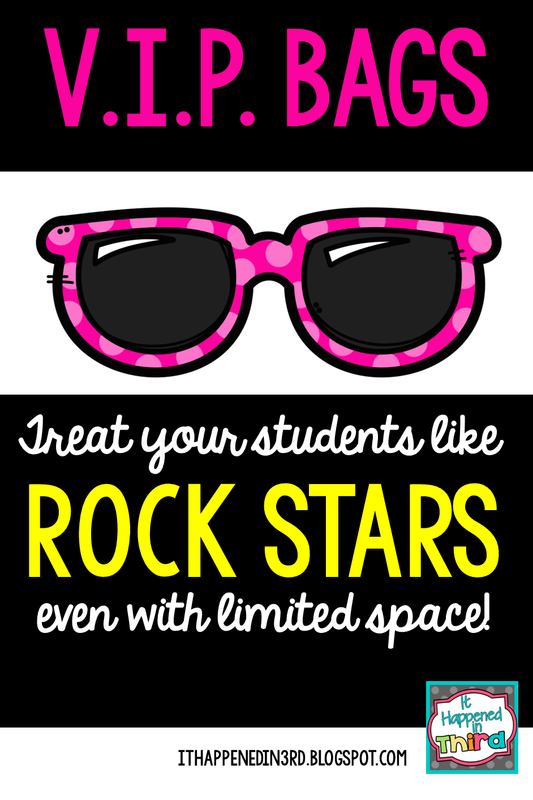 My class theme is Rockstars, so this would fit perfectly. The back of my t-shirts actually have concert badges that say "VIP Access to Learning". I will definitely be putting some sunglasses in the VIP bag. Great theme...love the concert badges! I am going to do a VIP table in my class too!! I love the idea of making buttons for them to wear!!! I love the VIP idea-- great job finding cute bags to keep the "swag" in! I do something similar that I call "Preferred Seating". The student gets to sit on a beach chair that is placed front and center in the classroom. He or she gets one of those bean bag lap desks and special supplies to use. Then it folds up and stores away easily when not in use! That's a great idea! How cute!